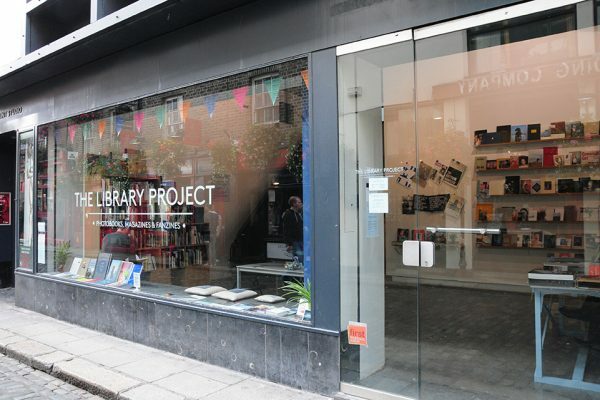 It may come as a surprise that this evening’s anniversary shin-dig in The Library Project is a celebration of only their 4th birthday, such is the space’s already ingrained position within the Dublin creative landscape. What initially started as an offshoot of the PhotoIreland festival, intended to occupy the vacant space left behind by Monster Truck, has now become an integral and driving force in the Irish art community. Operating primarily as a library and bookshop, The Library Project has become a reference point for emerging and established artists be they local or from further a field. In recent times it has expanded its own portfolio and played an ever increasing role as an exhibition space. Notable recent shows include Ciaran Óg Arnold and Eamonn Doyle, both of whom have signed books in a photographic themed raffle to take place tonight. As well as books, prints from artists such as Roger Ballen and Paul Gaffney are included along with a host of other photographic surprises to complete an envious raffle line-up. As well as this collection of goodies there is music and video projections on the night and a lucky few can even book a table of tapas and wine upstairs – places for this treat are very limited so book early to not miss out. Tickets for the raffle are only €5 which also gets you entry on this special night. Be sure to make it down to the event which kicks off at 6pm and celebrate The Library Projects first four years and toast them to the future. Originally published on Le Cool Dublin. You can read an archive of my Le Cool work here.